Didn’t read much last week. 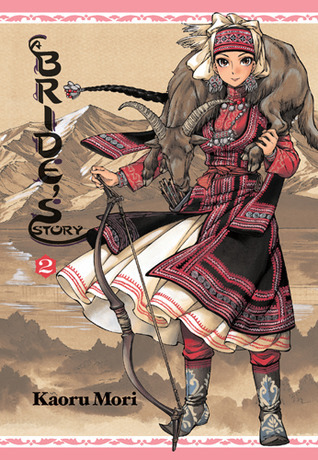 I did get around to reading A Bride’s Story Vol 2 & 3, which I really enjoyed, though I didn’t enjoyed Volume 3 as much as the previous ones. I have decided to review these books as a series, so the review will come along once I have read them all. The boy and I continued to watch Phineas & Ferb and are nearly done with the second season. I haven’t watched all the episodes with him, but quite a few of them I have watched, especially when he tells me it’s one we haven’t seen before. On netflix I watched the anime series Silver Spoon, which is about students attending an agricultural high school. This series was weird at times but overall I enjoyed it, I just wish there were more seasons to it because it was over far too quickly. We also watched Read Or Die together, because my husband said something one day that made me think of this movie (although it’s actually three episodes) and when I tried to explain the connection they showed interest in watching it. In the end they thought it was okay, but I enjoyed watched it again quite a bit. For Family Movie Night we ended up watching Balto 3: Wings of Change, which is what the boy choose to watch. This one was good but not quite as good as the first movie. Lastly, we ended up watching Okja, which was a strange yet good movie. I was so much more busy that I was expecting last week. I had some baking orders, but then even more came in, so I spent quite a bit of time in the kitchen. On top of this I was regularly in the garden making sure it was weeded and watered often. My son and I also played a ton of board games between the itm ehe got home from school and when hubby got home from work, and then we often played more games after dinner. Over the week we played Touche, The Game of Life, Barrel of Monkeys, Monopoly and Star Wars: Jedi Unleashed. I also started to organize things that I had purged a few months ago, but were simply piled up in our laundry room to get ready for a garage sale which I hope to have in a couple of weeks. It will be really nice to have all that space back and make some money in the process. 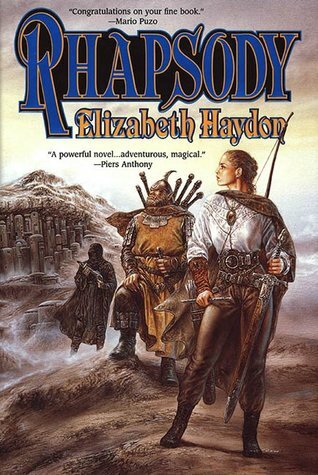 I will be continuing with Rhapsody: Child of Blood. I’m about half way through with my reread of this one and really enjoying it. Hoping to have it done in the next couple of days. After this I’m not sure what I will read, it all depends on if I get the books I recently ordered this week or not. I don’t really have any solid plan for the week. I have a few things on the PVR that I should watch, as well as some anime that I really want to get around to as well. I’m hoping to take it easy this week. Last week was really busy, and I need a relaxing week to recharge. It is nice to have a rummage sale and get some space back. The money is nice too. Come see my week here. Happy reading! Exactly, all this prep work for it will be worth the time and effort once I get that space back and money to boot. I love the idea of a reread, I always have plans but often just don’t get there. Good to know you are enjoying yours. I very rarely reread books, because I’d rather devote that time to something new, but there are a few series I want to finish yet it’s been too long since reading the first book in it (and usually it was only the first book that I read), so I’ve got a few rereads in my future. It’s been fun to revisit this story because I have forgotten 90% of it, so it’s almost like reading it for the first time again. Thanks for the recommendation, I’ll add it to my list, always looking out for new anime to watch. Glad to hear things are going well for your kids activities. Wow, the move is coming up fast!